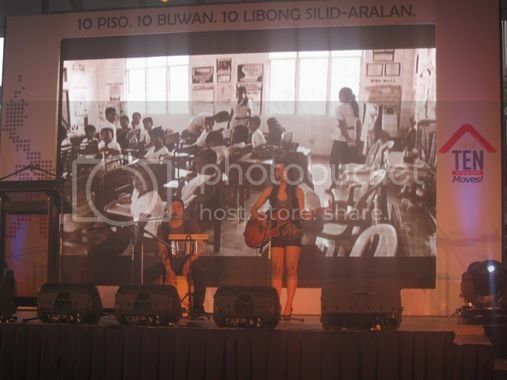 Last Friday, October 14, 2011, TEN Moves was publicly launched at the Fountain Area of Ayala Triangle in Makati City. 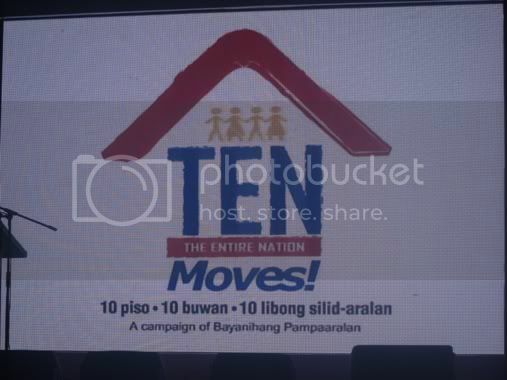 Spearheaded by the 57-75 Movement, led by the League of Corporate Foundations (LCF) and the Philippine Business for Social Progress (PBSP), in partnership with the Department of Education (DepEd), TEN Moves is a campaign that aims to address the classroom backlog of the Philippines. The advocacy is a call for “The Entire Nation” (TEN) to to raise enough resources to build 10,000 classrooms in public schools all over the Philipines by October 2012. 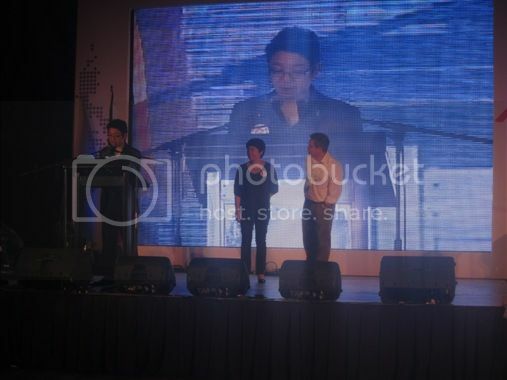 The objective is to get 2 million people to donate Php10.00 per day for 10 months. 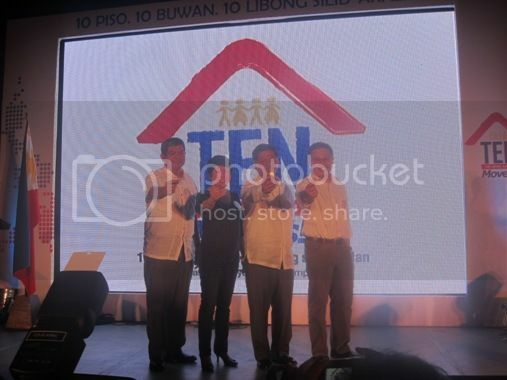 That will be Php30.00 per month or Php3,000.00 for the entire 10 months. According to DepEd, there is a shortage of approximately 66,800 classrooms in the country for the school year 2011-2012. DepEd’s budget and the expected counterpart from local government can cover about 56,000 classrooms. DepEd is requesting the private sector and the ordinary citizens to help in covering the remaining 10,000 classrooms. “We are calling on all Filipinos to work with us in bridging resource gaps, especially the task of addressing the classroom shortage, which is a critical step in providing enhanced opportunities for millions of Filipino children”, shares Education Secretary Bro. Armin Luistro, FSC. ***Please make check payable to Bayanihang Pampaaralan / Ayala Foundation, Inc. Type DONATEAmountMPINTEN, then send to 2882. This entry was posted in Advocacy, Classrooms, Department of Education, Education, Philippines, Public Schools, TEN Moves. Bookmark the permalink. Sure, you may blog about this, Lizzie! let’s help spread the word about this campaign. me, also! can i blog about this on my redlanegeraine.com? thanks, mommy tetcha! Our school is a recipient of this project. Thank you very much for the love and care. Our Grade Three pupils will now have a conducive classroom.